Tailored training programmes to suit owners and their dogs, carried out in the comfort of their own environment. Low stress guaranteed by using force free training methods to alter behaviour patterns by teaching an alternative behaviour. All breeds and ages catered for. As two new and one very “rusty” dog owners, we were looking for someone to help our family gain the confidence and up-to-date techniques to integrate our new puppy into our family life. Jayne gave some great advice that quickly helped us meet our goals at our pace and in a way that works for us. In addition, the peace of mind that knowing advice was just a message or email away if we needed it was super. I have found Jayne to be brilliant with my dog and her ' issues ' mainly a big fear of cars,she gave me loads of great advice and ways to get her more confident around them,it is still a work in progress and I feel she is at the end of the phone if I have any questions or queries. She really seems to care about your dog and whatever problem you are having and is a lovely, friendly lady. I wouldn't hesitate to use her services again if i felt out my depth with a problem. 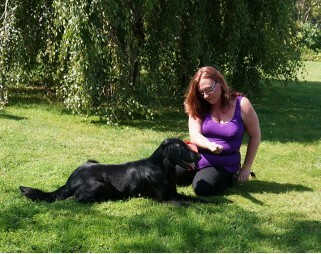 Jayne is a friendly, knowledgeable trainer who provided me with excellent one on one training for my excitable puppy. Her advice and coaching has proven invaluable in the regulation of my new friend. The four sessions were worth every Penny and I am sure the follow up phone/ email service will prove invaluable should any problems arise. Thank you Jayne. Jayne is very friendly and made us feel at ease as soon as we met her, having a real passion for dogs! 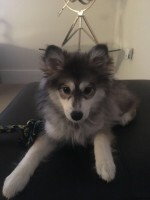 For us, Jayne has brought a different approach to training and it has worked amazingly for our puppy Miska. Each of our 4 training sessions we had have been extremely useful covering all the basics and some more advanced techniques. Most importantly Jayne has given us a greater understanding of how a dog thinks and behaves which is making training so much easier and fun! We can already see a big difference with Miska and I couldn’t recommend these sessions enough. You also get 6 months guidance if you have any questions for Jayne which is a real plus as we begin to continue our training on our own. The training we received has been invaluable- to us and the puppy. 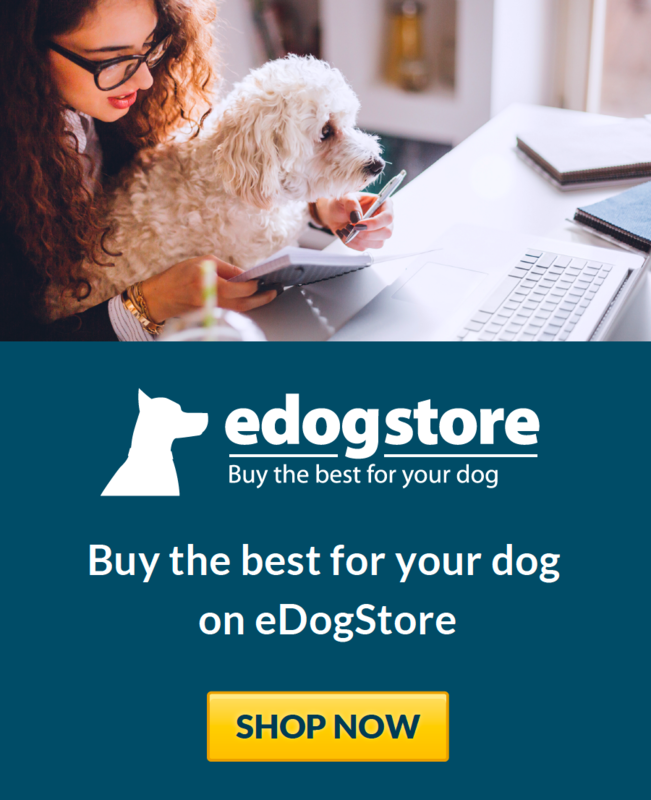 I would highly recommend this service, our puppy has benefited a huge amount from the 1:1 training specific to him and his breed. Excellent value for money. My dog knows so much now because of Jayne, every Sunday we have a session with our 5 month old German shepherd puppy and he already knows a lot, from sit and down to door manners, this training business is amazing, I rank it 5 stars. Thank you Jayne. Called Jane in due to our 6year old jack Russell having problems getting in the car. She would scream and bite and grab door trims. Jane has worked wonders to build Sasha's confidence. We are well on the way to being able to take a more confident and quieter dog into the car. We booked Jayne when we started having recall problems with our gorgeous Sheltie. From the very first meeting we received excellent guidance from Jayne on how to understand our dog better and how to implement effective and fun training. After our second session we noticed a huge improvement in general manners and behaviour and we had a much calmer, happier dog. We recently adopted a beautiful german shepherd called Koda. we have very little experience with dogs, and we had no idea about Kodas past history. Jayne visited our house 4 times, she was always prompt and well equipped .With her guidance, Koda is now a calmer, more disciplined dog at home, and we are more confident with handling him. Koda was a handful on the lead to say the least , but again with Jaynes guidance and tips, he is much improved. She even came with us to our local park. I would recommend Jayne to anyone looking for one to one dog training . I booked 4 sessions for our new puppy and Im pleasantly surprised with how quickly we've seen results. Jayne had an immediate rapport with her and was very knowledgable with regards to dog behaviour. It was very convenient having Jayne to visit us at home and the individual attention far outweighed group training classes. Jayne clearly loves dogs and her passion comes across in her training sessions. I would recommend her without hesitation. 4 Paws Training has worked a miracle. We've tried countless techniques with our JRT/Chi mix to try and lower his anxiety but to no avail; after just one visit Jayne knew exactly what was needed for both Bil and for us. We discovered that some of the techniques we had come across we actually proving detrimental so we were fighting a losing battle. A few sessions later and both Bil, Rox (my other dog) and the family are better trained. There is a long way to go but now we have the knowledge that we need to give us all a happier life. Further to this, Jayne didn't just tell us what to do and leave, she took the time to get to know the boys, us and our lifestyle as a whole and tailored everything to suit us best and to get the best results. After getting over the grief of losing our beautiful King Charles to ill health( we had taken her in as a mature dog) we finally thought it was time to give our home the injection of life a new puppy could bring . We picked up Lottie a stunning jet black King Charles/ cocker spaniel cross and immediately fell in love she is gorgeous , we expected a settling in period and we're pleased she picked up the toilet training and settled in well so we were very happy with our addition. We then began getting problems, she became defiant she wouldn't listen to instruction she constantly barked whenever we were eating she refused to be left without yelping and we were concerned we had bitten off more than we could chew. We enlisted the help of Jayne Mathews through 4 paws training and the transformation we have seen in Lottie in such a short space of time is amazing. Jayne listened to our concerns she was extremely supportive and attentive and was un fazed at our concerns. It was very apparent that she she has a genuine affection and passion about her work and the love of working with dogs shone through . Jayne formed a real connection with Lottie she soon showed us in clear concise instruction the way to rectify our problems and educated both us as owners and Lottie as a subject and because of her dedication we now have a loving well behaved puppy that has enriched our lives. Jayne still sees Lottie as she enjoys long country walks with her ( another service Jayne provides) we can't begin to thank Jayne enough for her professional approach her knowledge is second to none and her perseverance has paid dividends. Our two year old cockapoo, Sammy, was becoming more aggressive to strangers due to his nervous nature. Jayne has worked with us to help understand his behaviour and shown us how to reduce his anxieties, manage situations and ultimately improve his behaviour. She is very friendly, knowledgeable, has a clear passion for dogs and after just two sessions, we could see a marked improvement in his behaviour. Thanks to Jayne, we now have the confidence and understanding to enjoy our much happier dog. We got in touch with Jayne as our Shih Tzu Louis had issues with constant barking and aggression towards visitors. Jayne worked with us as a family to establish the cause of Louis’ behaviour and then the best way to deal with it. Her training methods have made a huge difference and given us the control over a situation that was previously lacking. 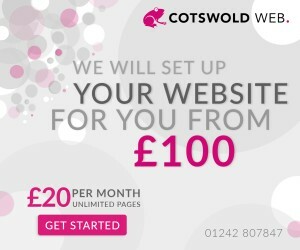 We are very pleased with the outcome of our training sessions and would highly recommend Jayne!! Jayne is absolutely wonderful with dogs. Her passion, dedication and love for the animals really shines through. Our puppy is quite nervous and she was brilliant with her, giving her the space she needed. We have a Jack Russell who was a bit of a handful at 2 years old. I went to Jayne in desperation for help. He is a real character but was a bit unpredictable when meeting other dogs in the park. Jayne was brilliant and visited us in Cardiff and helped us to understand his behaviour giving us excellent training techniques which helped us stop him getting too over excited when socialising. She recommended reading matter which helped hugely. We had a JR before but our little Sonny was a different character - she made us understand that not all dogs behave the same. Now at 4 years old he is a calm (most of the time) well behaved dog and can be trusted to walk off the lead. I can't thank Jayne enough for her advice and patience and would highly recommend her training techniques - a true professional. In four sessions, Jayne has demonstrated, given rationales and purpose to all the training given to our dog. She has shown us a variety of techniques to help develop our dog's awareness and understanding of basic commands. All of this has been taught in a way that is healthy, respectful and fair to our dog whilst also helping us as owners communicate effectively and clearly. Jayne has been a warm, friendly and unassuming trainer, who I have very happily welcomed into my own home. Jayne has been a great help with the training of our Shih Tzu puppy Barnie. Jayne taught us as a family (myself, my husband & 3 children) the best way to communicate with Barnie so we could train him. Barnie had problems with biting and toilet training mostly and Jayne showed us different methods to control these behaviours in a non aggressive way and even made training fun!! Barnie is not 100% toilet trained yet but he has made massive improvements and we don't have so many accidents now. Jayne was a huge support and always available to give advice either via email or on the phone, we would highly recommend Jayne to anyone who is having problems with their dog. Booked 4 sessions with Jayne. From the first session it was clear that Jayne really cares for the dogs and is very passionate about the service she provides. It was a lesson for myself and my family on how our actions impact on our dogs behaviour. With some changes made in the first few days we could see how it had an immediate positive effect on Daisy our Cockapoo. We would recommend Jayne to any dog owner as she really does help in a way that doesn't make you feel you are being "cruel to be kind"
We asked Jayne to help us with Pluto, our new rescue dog. We'd both had dogs as kids but didn't feel confident that we'd be able to train him properly without some help. Jayne was great in helping us learn how to read his body language and understand what he's thinking and feeling, as well as giving us lots of practical help and advice with the training. One month on, we've achieved more than I thought possible and Pluto is really happy and settled and is coming on in leaps and bounds as far as his obedience training is going. We've learned loads too! I cant recommend Jayne enough my dog wasn't very happy to greet my friends dogs into our garden with a lot of patience from Jayne and helpful advice my friends can now come round with their dogs in a calm manner. Jayne is an excellent dog/human trainer.she is calm, kind and reassuring!! she has the ability to give both dog and human the confidence , ability and knowledge to suceed.thankyou Jayne !! Has helped transform our crazy 6 month old cockapoo into a calm and relaxed puppy. We are two sessions in with another two to go and Jayne as helped teach the family how to teach the puppy. Very effective and positive training means the experience in fun. We can already see the changes in our little boy and can't wait to see how he is in two weeks. Jayne is a real dog lover who knows many tricks and treats to keep dogs active and happy. Cannot recommend her enough! I have a spaniel and was asked to look after a Jackie for a few days. My dog, having been alone for a while, was quite protective of her territory so I asked Jayne to introduce them for me. She was very knowledgeable about the signs each dog was making and took her time to work with them. By the end of the session the dogs were chasing each other around the garden. I have looked after the Jackie since and there has been no problems. I would recommend Jayne to any of my friends, she has the know how, patience and loves dogs!! I have talked to Jayne about my son's new puppy, a Labrador/ golden retriever mix. Jayne came across as extremely knowledgeable on the subject of dog issues and training regimes. She provided very sound advice that I was able to pass on to my son. I would have no hesitation in recommending Jayne as a dog trainer. Her advice has been invaluable! My dog Benji, (cavapoo) had lots of issues he spent a large amount of his time barking when people or car passed the house. if on walks he would bark at men and had separation anxiety. Jayne was very patient with him brought him treats that he likes. She was able to work out he was frightened, with the training and advice Benji is now more relaxed, I am able to leave him without him being so worked up. although he is still not sure about strange men I am able to let Benji know that he is ok. I would highly recommend Jayne.